The Bagus NG Turns 3! 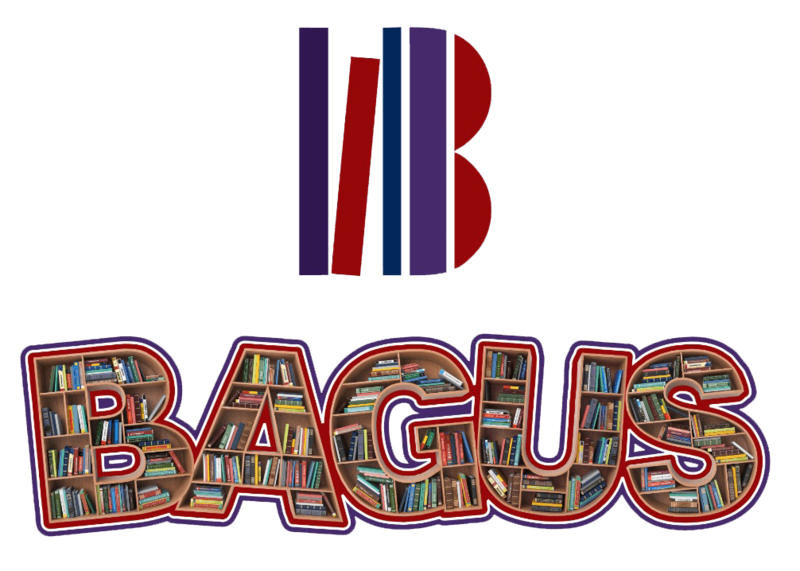 Almost three years ago, our Ijeoma Ucheibe embarked on a mission to promote African literature through the Bagus NG platform, first as Bagus Mutendi, and then as, The Bagus. In celebration of our third anniversary which is officially March 1 every year, we are hosting and will host a blogversary brunch and literary hangout themed – The ‘Professional’ Creative: Personal Experience. This event will feature a short interactive session with our confirmed speakers sharing their experiences as creatives, their perspectives on the Nigerian and African literary scene, and how they have been able to balance their everyday life as professionals while maximising a gift as unique as being a creative. Ijeoma who doubles as a lawyer, mediapreneur and blogger will give us a never-heard-before version of how The Bagus NG came to be, along with a special announcement and reveal to be made that day. This shall be an invite-only event and we only have slots for 15 lucky people. 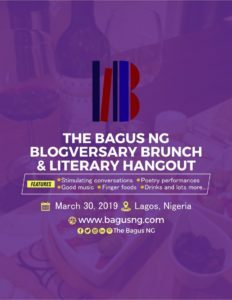 To be one of our 15 lucky guests, send a short email to info@bagusng.com OR haroldwrites.official@gmail.com, stating why you should be invited to the brunch. The subject of your email should be “The Bagus NG Brunch”. Only successful applicants will be invited to the brunch. The deadline for applying to the brunch is February 8, 2019. If your application to be invited to the brunch is not successful, don’t worry. The burnch will be streamed live on our various social media platforms. Watch this space! One topic that will be practically discussed at the brunch session is how writers can protect their intellectual property in a 21st Century digital world. A list of our awesome speakers will be unveiled shortly. YOU DON’T WANT TO MISS THIS!